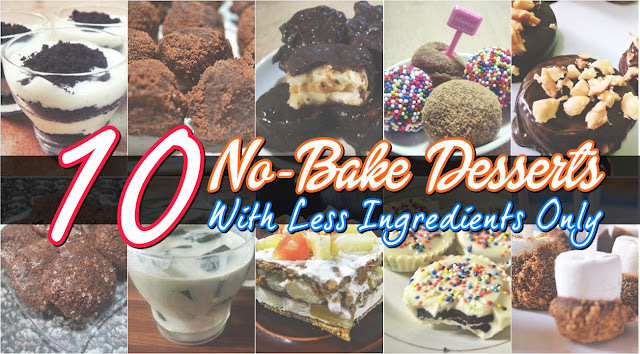 Would you rather enjoy your favorite Filipino dishes without having a taste of a very delicious breads and other pastries? 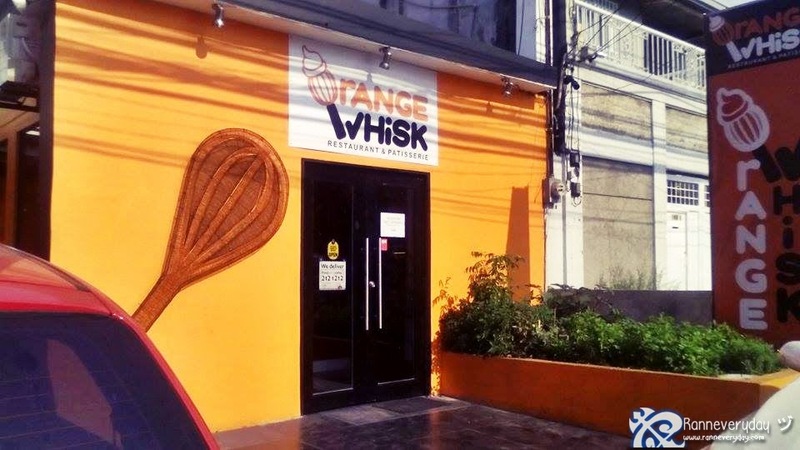 At Orange Whisk Restaurant and Patisserie, you'll surely gonna love their Pinoy dishes, some of Western-style dishes and much more, the desserts. Along with the other restaurants at the long Aguirre Avenue at BF Homes, Paranaque, Orange Whisk Restaurant and Patisserie's second branch had their opening on the said location just this January 2, 2015. With approx. 50 people, you might mistaken yourself that their Paranaque branch is too small if you will look outside. 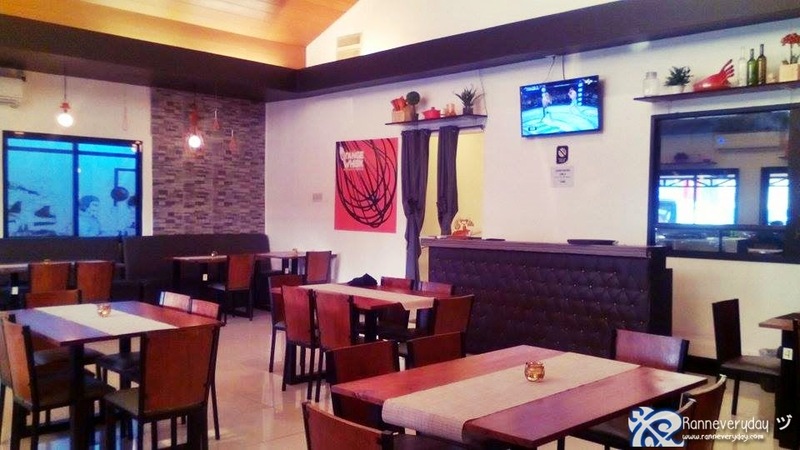 But as you explore the area inside, you can see those tables and chairs, high-ceiling area which gives the restaurant a very cool and relaxing ambiance, and of course, who would not miss those hanging orange whisk for the decoration. 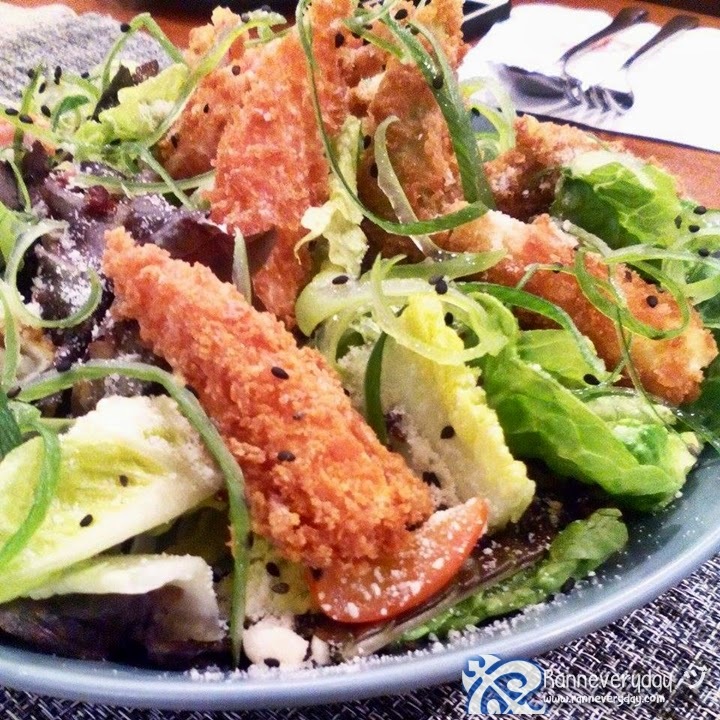 Kani Tempura Salad - The meat are soft and the veggies are fresh. Perfect to combine with their vinegar sauce. 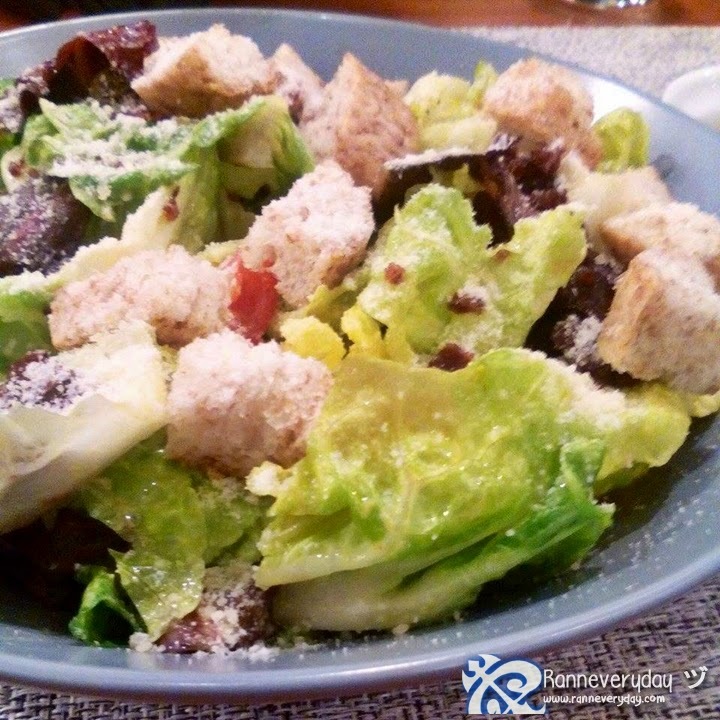 Ceasar Salad - The Parmesan cheese are very plenty that makes this dish delicious. Perfect appetizer. 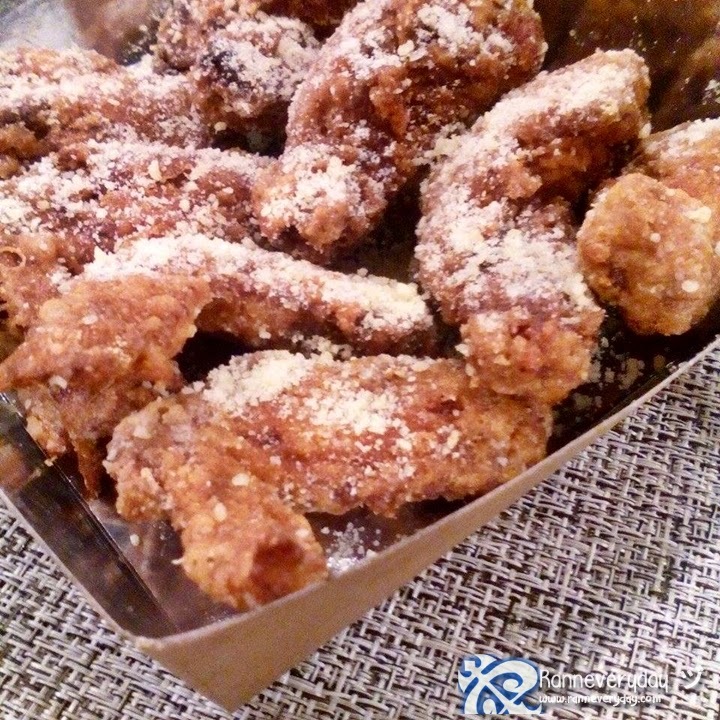 Garlic Butter Parmesan Wings (Php 280.00) - Well-fried chicken wings with added Parmesan cheese on top. It's perfect dipping in the garlic butter sauce. The sauce itself is very tasty. The garlic is not overpowered with the butter. Seared Wagyu Saikoro Steak (Php 698.00) - One of my favorite dishes. The meat is tender. The sauce is more on the sweeter side and with a taste of Teriyaki sauce. 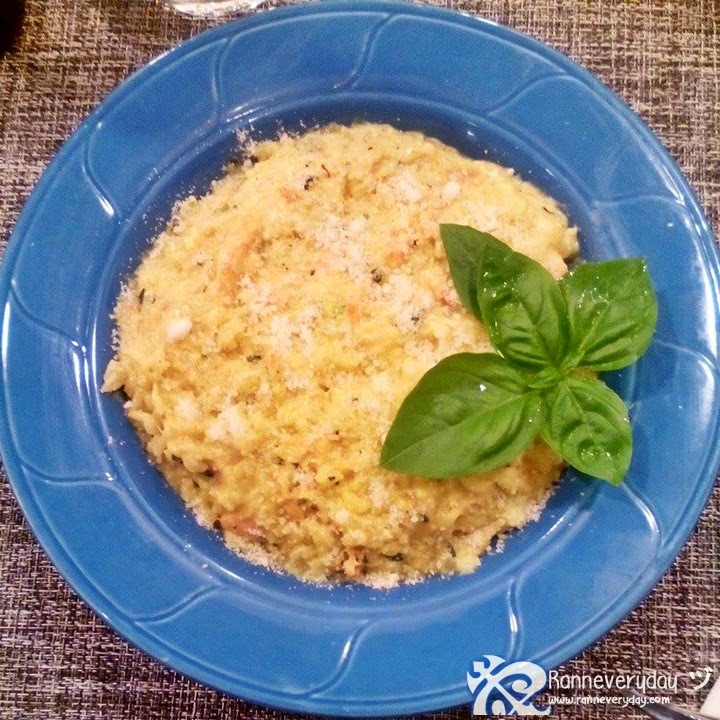 Yellow Salmon Risotto (Php 380.00) - This rice-based dish is really good. I like how the rice was cooked in the broth that makes it creamy. I can mostly taste curry in it and the added salmon with the rice. 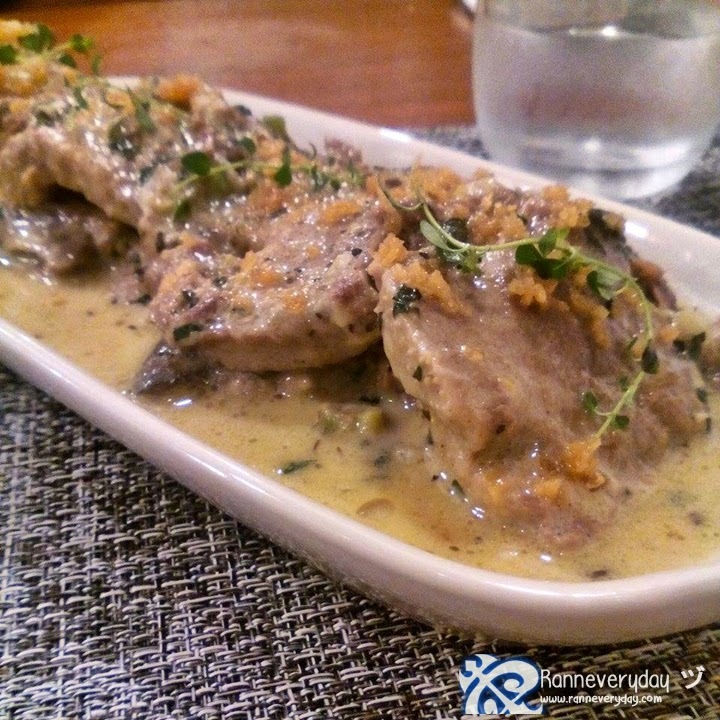 Braised Ox Tongue with Mashed Potato (Php 550.00) - I actually not a fan of this kind of dishes but I dare myself to try. And yes, it's actually good! I like how soft is the meat. It's a cream-based dish with added mashed potatoes. Very yummy! Karnet or Kare-Kare + Bagnet (Php 310.00) - It was prepared like they put the paste first, the veggies then the Bagnet. The paste is more on the butter side. Its a bit oily for me. 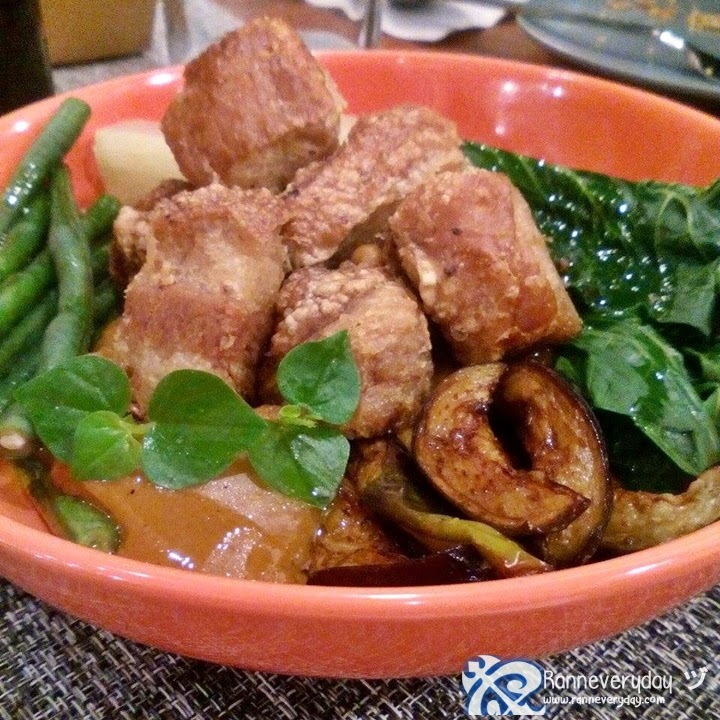 The vegetables are very tender and also the Bagnet is really good. Very crunchy. 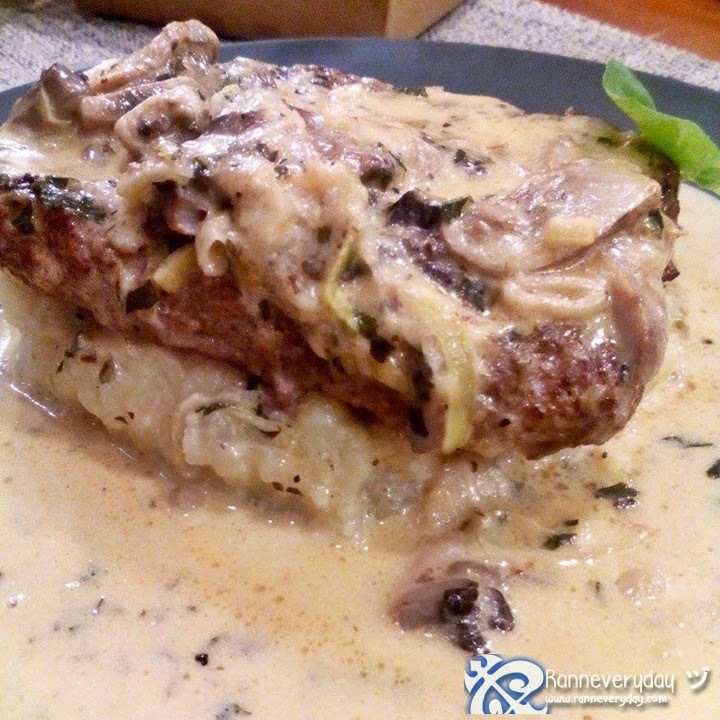 Kitayama Wagyu Burger Steak (Php 390.00) - The combination of the mushroom plus the blue cheese in the sauce makes this dish taste really good. 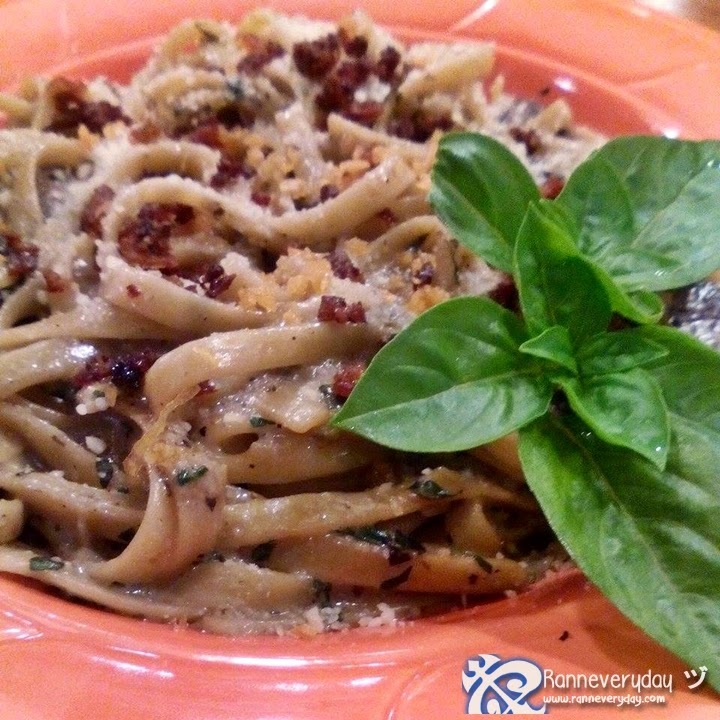 Garlic Portabella and Bacon Parmesan Cream Sauce Pasta (Php 280.00) - Its been a favorite also. For me, this dish is more on its garlic-flavor. Enjoy the tiny bits of bacon and garlic in the pasta. I didn't able to take a photo but they also served Laing - I got curious on how it was cooked after I tasted it. It's more on like the sauce turned into a paste. The laing is also more in its ginger side of flavor. Also, this Laing is not spicy like the usual way it was cooked. Coffee Bun - Fan of coffee? 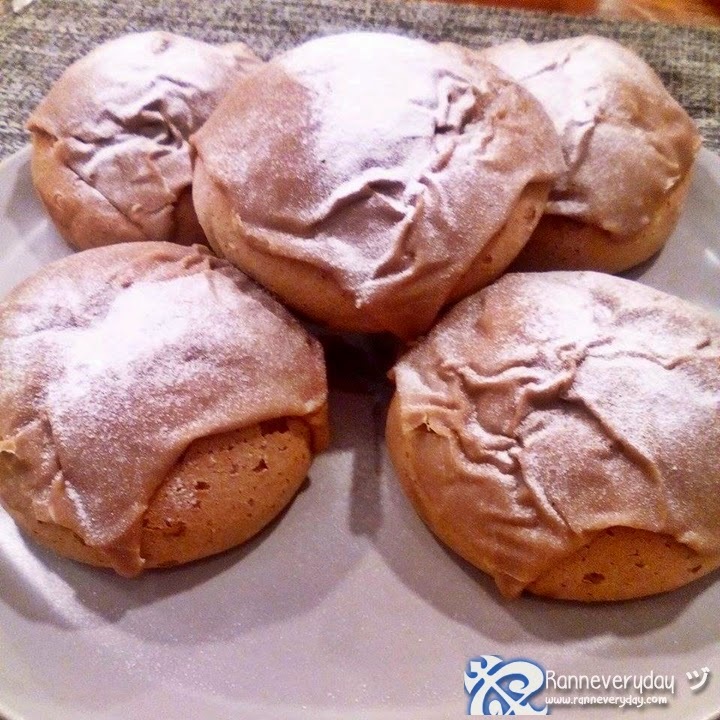 How about trying this coffee-flavored bread here at Orange Whisk? Topped with confectioner's sugar on top, you will be surprised on what's inside the bread. It has a somewhat coffee-caramel flavored jam inside that makes it very tasty. 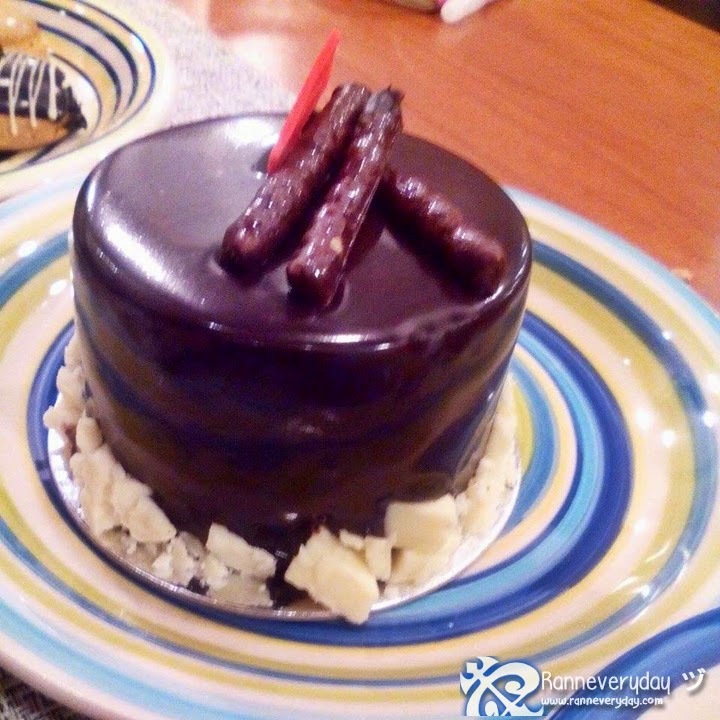 Chocolate Cake - This chocolate cake is been one of their best-selling pastries. Very chocolatey but also not that sweet. Perfect for my taste. Red Velvet Cake - For me, I find this red velvet as plain and I can't actually figure out which ingredient is lacking. 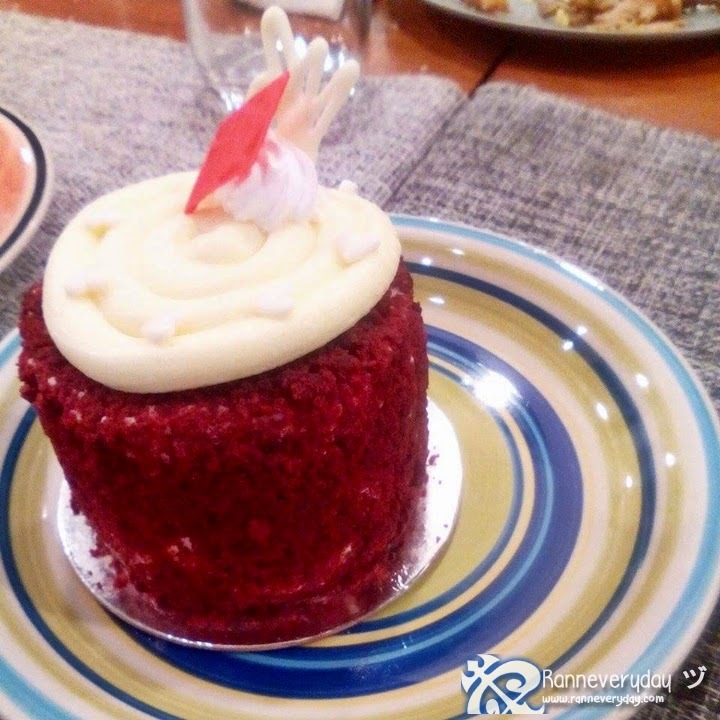 As I taste it I can't help but compare it to other red velvet cakes I tasted at other stores. But it's worth a try. 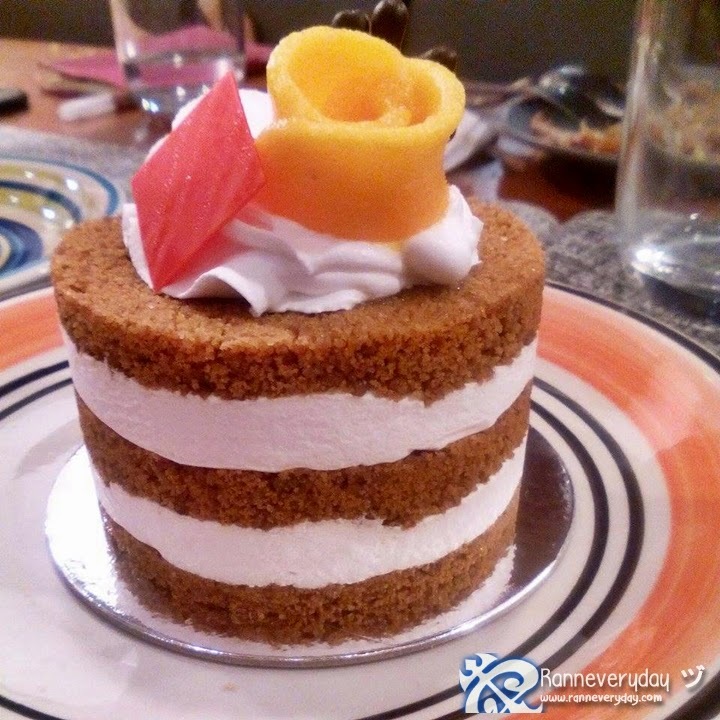 Mango Graham Cake - Yum! I really like this kind of dessert with Graham in it. As you have a bite, you can already taste the mangoes which is really good. There are other breads available here at Orange Whisk. Their best-selling one is the Chewy Bun, a plain version of the coffee bun but makes the customers buy it often. From the Sucat Tollgate, ride a jeepney with either 'Kabihasnan' or 'Baclaran' as a route. Tell the driver that you'll be until SM BF Homes only. After going down the jeepney, facing SM BF Homes, you'll see a road on the right side with an overpass. Cross the street and go to the area which the overpass located. The road you are now is the President's Avenue. From there, wait for some jeepney with a signboard 'Lopez' or 'SM Hypermarket.' You will passed through Aguirre Avenue. You can see different restaurants along the way and one of them is the Orange Whisk. You can also hire a tricycle and ask to bring you to Aguirre Avenue. 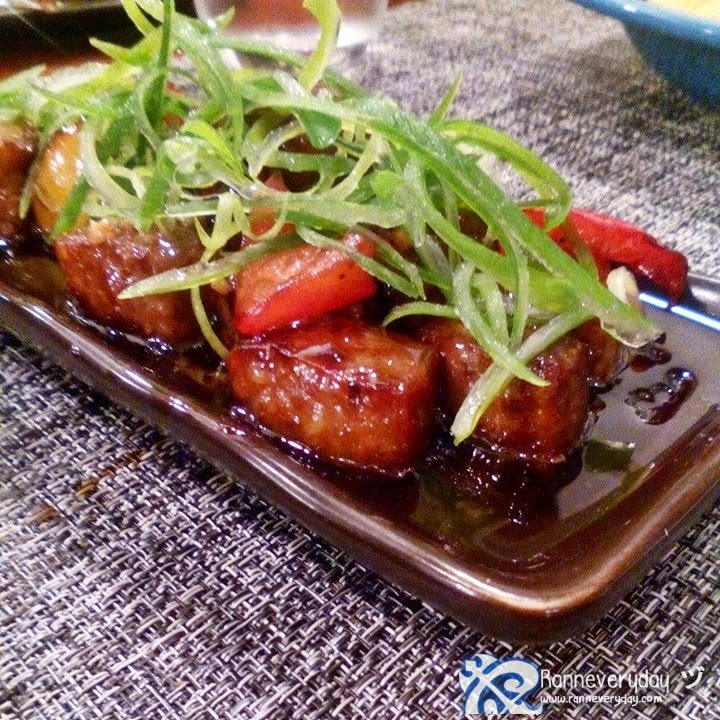 All in all, Orange Whisk Restaurant and Patisserie is a must-try place. 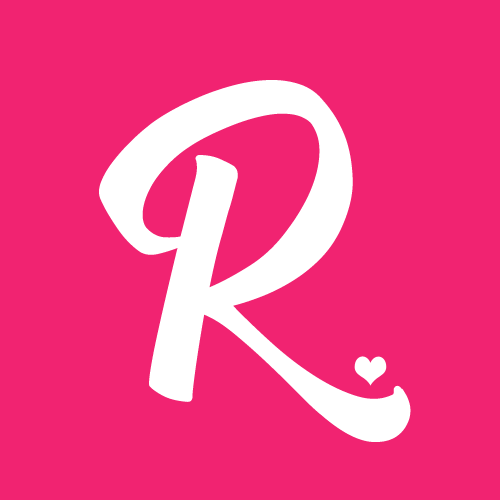 Enjoy your favorite Filipino and western dishes plus whooping kinds of pastries for your dessert. Have an awesome casual dining experience here at Orange Whisk Restaurant and Patisserie!